The Rollator (or as some people call them Walker) has been in use in Scandinavian and European countries for many years, but has only recently become popular also in the United States. A Rollator is best described as a standard walker on wheels. Various other names describe the same product; For example Rolling Walker, Walker with Wheels or Fitness Walker. Depending upon the producer of the Rollator or Fitness Walker the wheels come in different sizes. However, in general, four larger wheels in turn replace two smaller wheels and two posts of a walker. The handles of a Fitness Walker typically feature caliper brakes or ‘hand brakes’. The user can squeeze these hand brakes to lock the wheels in place, or release them to continue walking. There are special Rollator's made by various companies that work the handles whereby when squeezing the Walker is released and when the handles are released the unit will stop. This is especially useful for Parkinson’s patience whereby the unit needs to be ‘parked’ when standing in position and before proceeding to walk. Another major advantage is that with a collapsible design, a Fitness Walker can also be folded and stored in a car's trunk or rear seat. Standard walkers can be folded into thirds, but they lose the compact folding ability of a Fitness Walker. It is very important to consult your doctor when considering the purchase of a Fitness Walker as long-term studies are limited as to it’s long effect on the body. As each individual disability is unique and research is limited, it is up to the patient with their doctor’s advice to assess the effects on the body of various Rollators or Fitness Walkers. This is especially important for patients recovering from various surgeries as proper exercise and walking styles must be adhered to. The Fitness walker or rollator promotes a healthier state-of-mind and the ability to stay independent while achieving a certain level of exercise for the body. As a good Fitness Walker bears a good portion of the person’s weight at hip level, much of the stress is taken off the ankles and knees while walking. At this point it is critical to have a Fitness Walker that promotes the body’s natural walking motion. We carry the Rollz Rollator and Transport chair line from the Netherlands as well as the Veloped Trionic rollator lines from Sweden as well as the TOPRO Troja 2G and TOPRO Olympos walker lines from Norway. A new product we just added is the TOPRO Taurus Forearm Walker! We feel that these walker rollator support your rollator needs with the best quality available on the market. 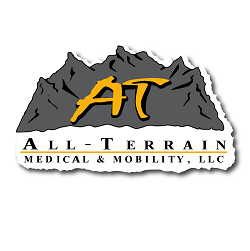 We also carry all the walker rollator parts and accessories from each company! We got you covered. If you don't find what you are looking for, let us know and we will find it for you. Please call us at 877-255 8371. We are here to help!